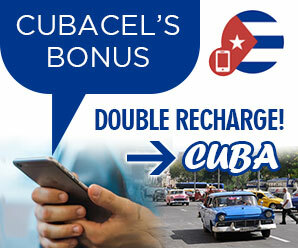 cubabaracoa.com | Want to know before you go? 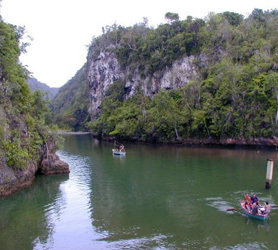 Official Cuba Baracoa information and guide, get facts and latest news. 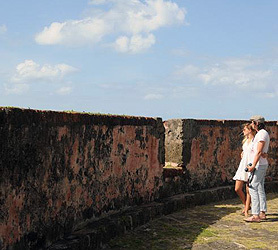 Housed in the old fort of Matachín, one of three fortifications built during the eighteenth and nineteenth centuries to protect the city from pirates and privateers. Despite the fascination by visitors of the natural environment and unique ecosystem of Baracoa, the beaches are easily still our best kept secret. There are too many beaches to choose from really, some totally virgin without even names. 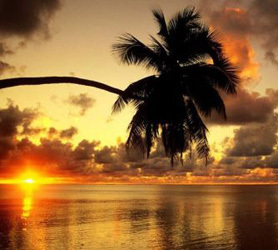 More popular beaches in the vicinity of the town are: Duaba Honey Beach and further west, Playa Maguana and Playa Nibujón. The cuisine of the region is one of the richest in the country. Our famous poached and then fried banana and, of course, the milled corn based beef tamale wrapped in Banana leaves. Other local dishes are rich in the local produce of honey and coconut which is unique to this region of Cuba. Like many places in the Greater Antilles, the inhabitants of Baracoa are predominantly of Aboriginal origin, displaying the traits of a sharp nose, straight hair, dark skin and small stature. It is claimed an impossibility to really know the ancient inhabitants of Cuba without first traversing the first settlement of Cuba called Baracoa. Today the city has a population of about 86,000 inhabitants, most of which have long lineage to the initial settlers. Baracoa is also famous for hosting French immigrants, brought to its fertile soil cultivate coffee, which gave birth to the entirely French coffee plantations of the era. 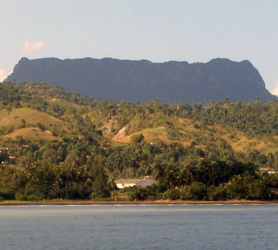 In Cuba and in some parts of the world, the city has become famous for the so-called “Three Lies of Baracoa”: There is a river that is not sweet Honey, an anvil-shaped mountain that is not iron, and the so called “Sleeping Beauty” because of her contours that resemble the body of a woman lying on top of the mountain. There are 56 archaeological sites in Baracoa which have so far been discovered which offer rich evidence of the Aboriginal communities that once lived here. 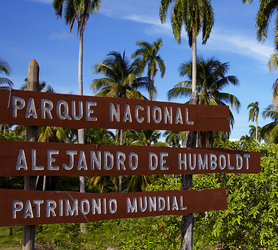 The diversity of flora and fauna offers 67 types of ferns which are endemic to the Baracoa region. The anvil palm-tree and about 130 species of precious woods grow wild in the area. It also has areas devoted exclusively to livestock. “Water for Existence” is the Taino Indian language meaning for the word Baracoa, because in the surrounding mountains there are abundant springs and rivers among which the Macaguanica, Yumuri Duaba, Jauco, Miel and Toa, the latter the largest river in Cuba. Baracoa also retains clear evidence of a strong system of colonial forts that defended the city from corsairs and pirates. 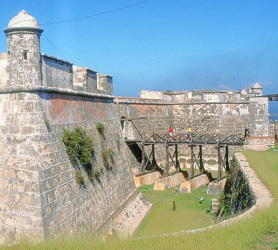 The Matachin Fortress which is now the municipal museum, The La Punta Fortress built to protect part of the bay, The Spanish built Santa Barbara Seboruco Castle, now known as the Hotel El Castillo, and the Towers of Joa and Caguase. We must not forget the church in which the Cruz de la Parra was placed, the first symbol of Christianity brought to island by Christopher Columbus on his voyage of discovery to the New World which was blessed by Pope John Paul II during his visit to that city in January 1998. 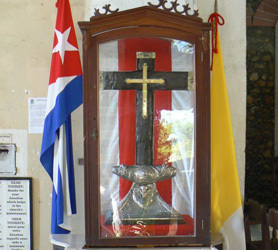 The Cruz de la Parra is now a national monument of Cuba. 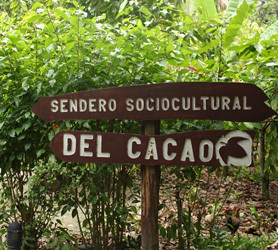 The largest coconut plantations and Cuban Cocoa production are found around the region of Baracoa. 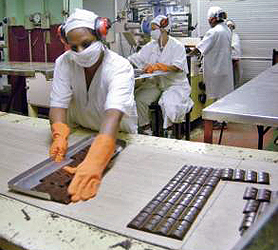 In fact, more than 80 percent of the production of these commodities produced by Cuba displays the stamp of “Baracoa”. Numerous agricultural and processing industries are based in the town. 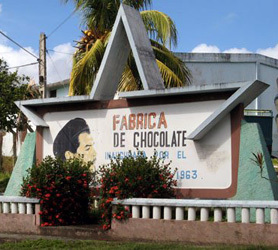 The Baracoa chocolate producing factory is the largest cocoa processing plant in the country. This facility, called Rubén Suárez Abella was opened on April 1, 1963 by Ernesto Che Guevara. The area is not only known for its virgin forest and colonial history, the region is also famous for its rich musical culture, cuisine and artists amongst its inhabitants. The people of Baracoa are endowed with a singular kindness, especially apparent to visitors of the region. A very peculiar road and viaduct, known as La Farola, meanders through the mountains with its 11 hanging bridges with the most relevant being the “Altos de Cotilla” which spans over 600 meters above sea level. This road, built in the 1960s, is considered one of the seven wonders of Cuban civil engineering which also includes the Bacunayagua Bridge in Matanzas Province. The city also has a domestic airport called Gustavo Rizo Airport catering for medium and small planes.